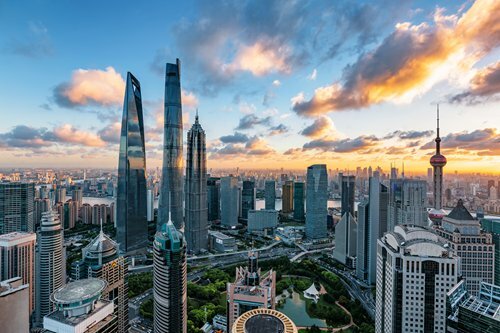 Shanghai will be made into a "name card" for China's opening-up policies, not only in finance and overseas investment, but also in trade, Shanghai-based economic experts said on Monday. The experts made the comments following Shanghai Mayor Ying Yong's promise on Sunday during a conference that Shanghai will never stop opening up. "Shanghai will stand firm on pushing economic globalization and freedom of investment and trade... It will also stand firm on welcoming global enterprises and international capital," said Ying, according to a report by jfdaily.com on Sunday. Ying's comments came as Shanghai and other cities in China have been pushing for more economic interaction with overseas companies and investors amid rising protectionism globally. Experts noted that the government has often picked Shanghai as a trial city for launching opening-up measures before rolling out the same measures in other cities, particularly in the finance sector, and this trend is likely to continue in the future. Such measures include freeing the capital account in Shanghai's free trade zones and setting up a stock connect mechanism between Shanghai and Hong Kong. According to Ying, in the next few years, Shanghai will go further in financial opening-up. For example, the city will ease market access for overseas capital in the banking, securities and insurance sectors. It will also expand the functions and scale of free trade accounts. Sun Lijian, an economics professor at Fudan University in Shanghai, said that given the current complicated global economic situation, China will be cautious in pushing opening-up measures in terms of capital outflow. "Of course the government will slowly open up the channels for outbound financial investment, but those measures will be launched step by step and are likely to start with first-tier cities like Shanghai," Sun noted. He also predicted that the government will expand futures trading from oil futures to other bulk commodity categories in the future. But in terms of opening-up measures for capital inflow, the pace of innovation will be quicker than people's expectations. "Shanghai and other cities will all actively usher in these changes in the next few years," Sun said. Shanghai would also be suitable for implementing the government's blueprint for a global financial center, with its massive talent pool, the local people's strong awareness of financial management and the good business environment in the city, Xi Junyang, a finance professor at the Shanghai University of Finance and Economics, told the Global Times on Monday. Aside from the financial sector, Shanghai will also speed up the creation of new import platforms with global influence as well as establishing a more open modern industrial system, Ying disclosed. The mayor made the comment one week before the first China International Import Expo is to be held in Shanghai. In 2017, Shanghai's port trade reached $1.1 trillion in value, accounting for 3.4 percent of global trade, Ying said at the conference. He also noted that Shanghai is now home to more than 50,000 foreign-owned businesses, 438 foreign research and development centers and 653 regional headquarters of multinational companies. Sun said that China used to rely on the Pearl River Delta for trade development, which was mostly characterized by low added value, low-cost manufacturing. But now the government wants to shift to a new trade pattern that fits better with the country's strategy of upgrading its manufacturing. "Shanghai has an advantage over other cities in developing high added value trade because of its research resources, ample financial services, coastal location and talent pool," Sun told the Global Times.